Living Felt customer Leeann Puleston makes hats...lots of hats! 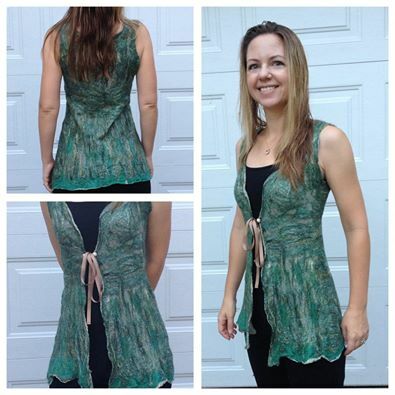 this was made using our Woodland Merino-silk blend. Her hats are needle felted using Living Felt foam hat forms and then wet felted. 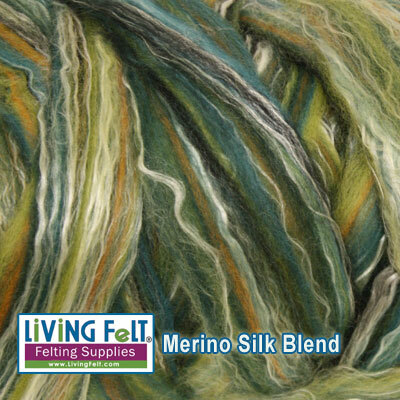 COLOR: Variegated greens with a hint of golden brown earth tone and bright white silk.